This trimmer with full metal blades lets you achieve exactly the 3-day stubble, short beard, or long beard look you want. Our new integrated hair lift comb raises hairs for efficient one pass even trimming results The Dynamic Beard Guide system with the help of the integrated hair lift comb lifts the hairs up to the level of the blades for even trimming results. 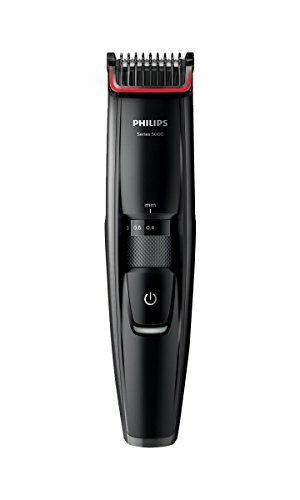 This trimmer comes with double sharpened full metal blades that cuts more hairs in every pass for faster trimming. 100% waterproof, Simply rinse the beard trimmer head under the tap to thoroughly clean it.